Giant trucks more than 30 meters long and capable of transporting as many as four containers at a time are being trialed under special permit on Finnish roads. But where do SSAB EcoUpgraded and Hardox® In My Body come into the picture of these giants of the road? These giant trucks are more officially known as HCT combo vehicles. The HCT comes from the words High Capacity Transport and the vehicles have a carrying capacity that is a third higher than an ordinary semi-trailer truck. Trafi, the Finnish Transport Safety Agency, has granted a special permit for several dozens of HCT vehicles to operate on a pre-defined route on an experimental basis. One HCT combo transports containers between Stena Recycling’s regional service units and the Tahkoluoto crushing facility in Pori. This transport system involves metals for recycling being sorted and loaded into VR Transpoint’s green recycling containers. The new 32.9-meter long 12-axle HCT combo can transport four of these specially-made containers at a time. This is where Hardox® In My Body and SSAB EcoUpgraded come into the picture. “The HCT vehicle has been regularly plying this route for over a year now. Our experience to date has been encouraging. Metal scrap takes up a lot of space and transport efficiency improves in a number of ways when you can use four containers instead of three. Not only that, but Hardox® wear plate has allowed us to increase container side height and length. Fewer runs are now needed since we can carry clearly higher payloads at a time. This also means fewer trucks on the roads. Improved safety, eco-friendliness and efficiency are among the benefits achieved,” lists Juha-Pekka Kuusisto, Transport Manager at VR Transpoint. “Finland is a fairly large country and we need to explore all possibilities to reduce the environmental impacts and upward pressure on the costs of logistics of recycled products,” says Matti Nummela, transport organizer at Stena Recycling. Ferreus Oy, a company based in Lieto near Turku, used SSAB’s Hardox® wear plate to make the green recycling containers for VR Transpoint. Established in 2008, Ferreus is a family firm making steel tipper bodies and containers, and continues engineering works Konepaja R. Rauta’s more than 40-year tradition as a manufacturer of quality transport products. Ferreus is owned by Mika and Petri Rauta. ”We use only certified, quality products. The first recycling containers made of Hardox® wear plate were delivered to VR Group back in 2009, since when we have used only Hardox® in the container structure - the main reasons being durability, lightness and fuel economy. We have been a member of SSAB’s Hardox® In My Body network since 2010 – the first member in Finland as a matter of fact. Our own customers are very well aware of the high quality of Hardox® steels and among other things the broadest thickness range on the market. In this sense being a member of the network gives us a competitive edge,” explains Ferreus Oy’s managing director Mika Rauta. 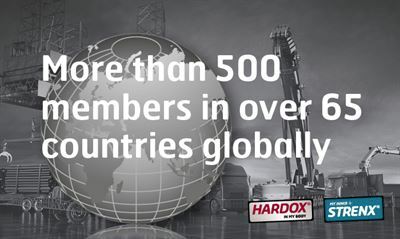 “Hardox®, the leading brand in wear plate, has been on the market for more than 40 years now. The Hardox® In My Body logo on a product indicates that it has been made using genuine Hardox® wear plate and not an inferior imitation. 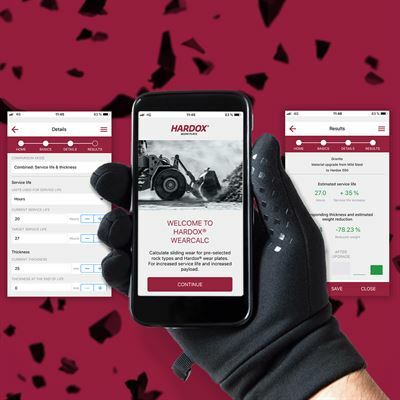 For members of the Hardox® In My Body network, the logo means extra creditability, it is a guarantee of quality and of one of the best products on the market,” says Regional Sales and Wear Service Manager Jussi Joensuu at SSAB Special Steels. The network now has more than 400 members worldwide, including 18 in Finland. Member companies’ main products are containers, tipper trucks, buckets, crushers, demolition machinery, agricultural machinery (e.g. trailers) and components for forestry machinery (e.g. harvester heads and cutters). “Hardox® In My Body manufacturers can benefit from SSAB’s latest knowledge of material technology, applications and manufacturing methods. This in turn quickly results in better, more efficient products. Member companies also appreciate the marketing tools we provide, not to mention our strong brand, which is also an advantage in conjunction with selling a product. Membership also brings opportunities for networking with other companies,” adds Jussi Joensuu. 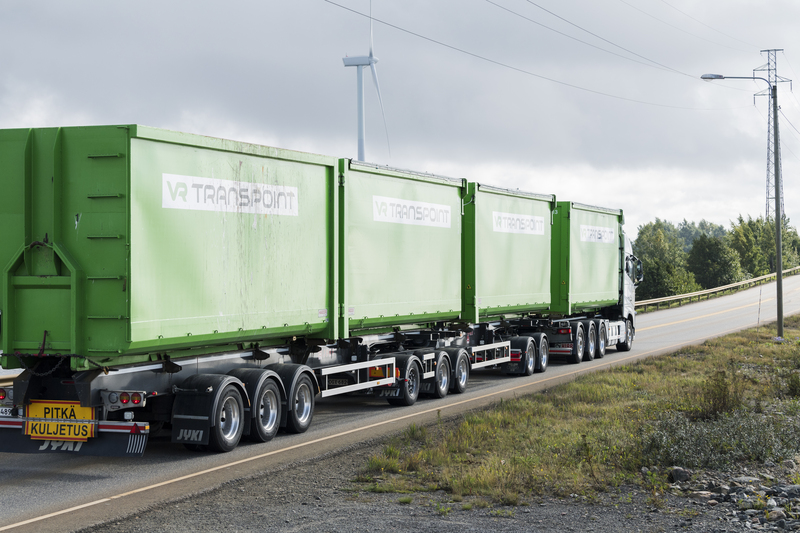 VR Transpoint’s advanced containers are a good example of reducing carbon footprint, which is a key aspect in the SSAB EcoUpgraded concept. To put it briefly, the concept brings about the benefits of high-strength steel, which include reduced weight, improved fuel economy and extended useful life, as well as the need for less steel in end products. Carbon dioxide emissions decrease both in the production stage and especially during a machine’s lifecycle. When manufacturers switch over to using SSAB’s high-strength steels in their products, they will quickly be able to compensate for the carbon dioxide emitted in steel production during the useful life of machines. Once the break-even point has been reached, the application will go on delivering carbon dioxide savings amounting to many times the original carbon dioxide debt. Emissions reductions can be accurately calculated for each product. In 2017, set a target that by switching over to using SSAB’s high-strength steels, customers can achieve annual savings of 10 million tonnes in carbon dioxide emissions during the use phase of their end products. The SSAB EcoUpgraded concept will explicitly contribute to around 7.8 million tonnes of these savings and the remainder will come from premium products for the automotive industry. Both Hardox® In My Body and SSAB EcoUpgraded play a key role in achieving the growth targets SSAB has set for 2020. SSAB Special Steels aims for annual shipments of 1.35 million tonnes by 2020. This figure compares with 1.2 million tonnes in 2017 and 1.0 million tonnes in 2016. Most of this growth will come from upgrading to high-strength steels. The SSAB EcoUpgraded concept will help us to identify applications where special steels show the greatest promise for reducing carbon dioxide emissions. 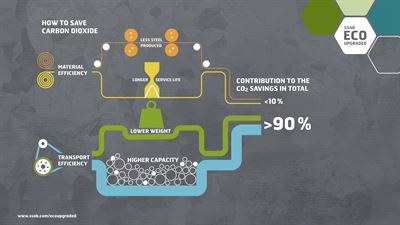 Looking at each specific application, SSAB can compare the potential carbon dioxide savings in its use phase to the carbon dioxide emitted during production. Hardox® wear plate can help to lighten the weight and extend the useful life of trucks, containers, tipper trucks, buckets, waste disposal vehicles and similar. Lower weight means greater fuel economy, higher payloads and even smaller machines that usually show more wear resistance. When vehicle bodies are lighter, the same vehicle fleet can carry greater loads. Use of Hardox® ensures superior wear resistance and impact toughness. These properties save our customers both time and money. SSAB grants the right to use the Hardox® In My Body logo to leading OEMs that meet SSAB’s quality criteria. These companies are well aware of the steel properties, know all the benefits of Hardox® products and constantly apply their own expertise in their own product development. Each Hardox® In My Body product sticker contains a serial number that can be used to find out detailed information about the product and its manufacturer.